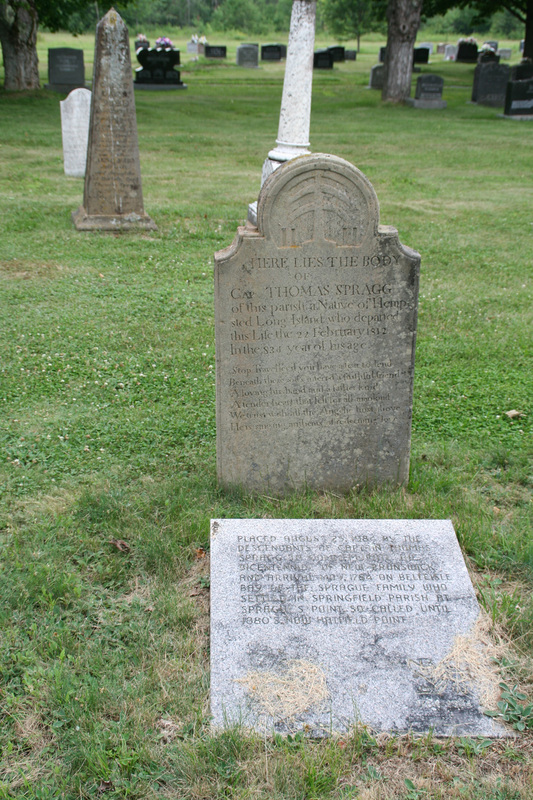 Thomas Spragg was atypical of the men who served in the Loyal American Regiment. 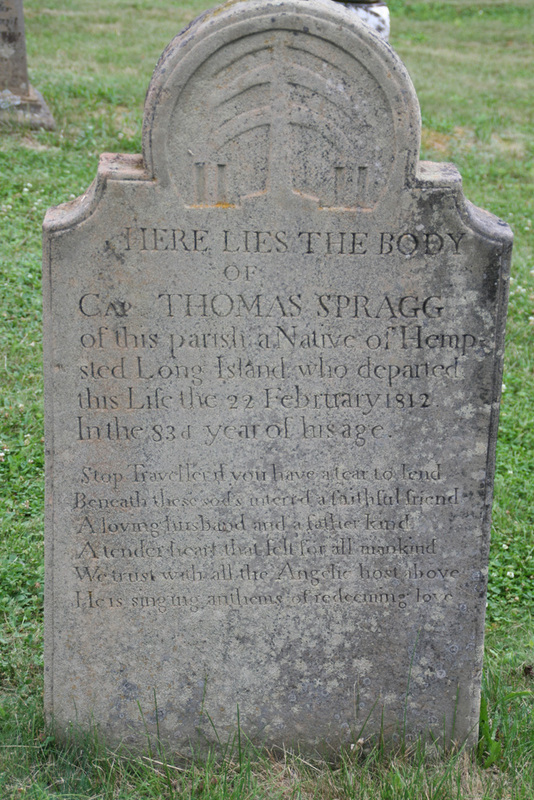 Older than most of his comrades in arms, he was born in 1729 in Hempstead, NY (in Nassau County on Long Island). Some time between 1756 and 1760 he moved with his wife (nee Mary Carman) and family (they eventually had ten children) to a large Dutchess County farm near the Wappinger creek. Our composite of muster rolls, covering multiple LAR companies from 1777-1783, lists both Thomas and his eldest son, Richard, who was captured at Stony Point on July 16, 1779.
this life 22 February 1812. In the 83rd year of his age.